As budding entrepreneurs in Venezuela, German Kurbaji and Alejandro Acosta-Rubio noticed that a lot of their athletic friends seemed to have a really hard time getting noticed by collegiate scouts. Between the logistics of international travel and the expense associated with college visits, they say that top talent was being overlooked by scouts – talent that could be a real game-changer for their teams. Curiously, there also appeared to be zero automation with technology. Sensing an opportunity to connect scouts with recruits and bring the process into the 21st century, German and Alejandro got to work on myScout! 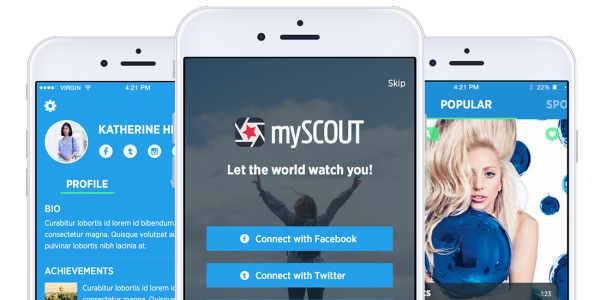 MyScout’s mission is to provide talented users in athletics, music, and art everywhere with a platform which to connect with the right people and positively shape the future of their career. They are currently building the MVP out of their private office at Building while simultaneously finishing their degrees at the University of Miami. German plans to graduate in December 2015 with a Business degree and Alejandro plans to graduate in May 2016 with a double major in Political Science and Computer Science web project management. Stay tuned for more from myScout as they plan to launch the app this Fall – at the hottest spot in Brickell: BUILDING.co! Want to join myScout at Building? Contact us to schedule a tour today! Congratulations myScout team! It is wonderful to see latin american talent at the heart of the Miami tech scene. I wish the founders the best of luck in their senior semesters at UM and as they continue their journey with their startup. Thank you Building.co for providing a space for startups as well.